Caught the first 2 episodes of the new ABC series “Jane by Design“. It’s classic chick flick formula – Devil Wears Prada meets High School Musical meets … maybe Ugly Betty. I have a thing for high school dramas, they’re my guilty pleasure. I think I was the only adult I know who actually watched the TV version of 10 things I Hate About You. That show was funny! And I did love the movie, back in the day. Maybe the whole high-school fascination has to do with all the high-school themes in manga. Or maybe I’m just childish, or missing the simpler, sillier times of youth. 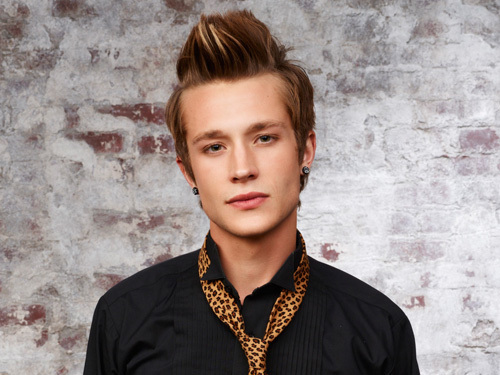 Speaking of, doesn’t Nick Roux look like he belongs in some shoujo manga? 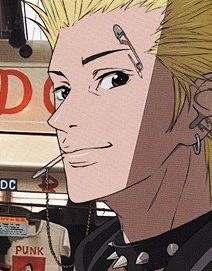 Like something Ai Yazawa would write, perhaps? Nick Roux – must be his eyes – they have the broody slant of a shoujo manga sidekick / anti-hero. The hair here helps too. Actually… I’m sure there are better manga examples out there for comparison. Just can’t think of anyone else right now.